Of course, veterinarians far and wide would love another option- one that can save lives. Thanks to iCare Financial, vets can now offer another possibility to their clients, getting them instantly approved regardless of their financial situation. 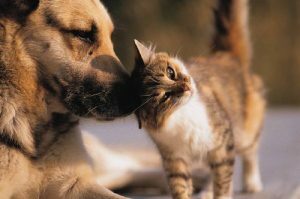 Their program is an ideal solution for pet owners that cannot afford their veterinarian bills. While offices typically offer other payment methods, such as Care Credit, patients can only qualify if they have excellent credit scores and payment histories. We interviewed three veterinarians from three different parts of the country, and each said that they have found that ever since they began offering the iCare Financial patient Financing solution, they have been able to “lay down” fewer pets. This alternative literally saves lives. Darsi Wishnack and her husband run an emergency clinic, Animal Emergency Clinic of San Diego. In the past, they found themselves frequently offering personal loans so that people could save their pets in urgent situations. Unfortunately, they quickly discovered that too high of a percentage of people were failing to pay them back or were simply refusing to respond to their calls regarding late payments. As a result, they realized it was becoming less and less feasible to offer this option to clients. Darsi’s view was that once a pet owner walked out the door with a healed animal, it’s often an “out of sight, out of mind” situation. This fact is amplified by the fact that Animal Emergency Clinic of San Diego is an overnight emergency care clinic. Since the emergency practice is never an animal’s primary care provider, it is easier for individuals to forget about paying for services rendered. Animal Emergency Clinic of San Diego has been using iCare Financial. They quickly found that this patient Financing solution is allowing people to treat their pets in a wider variety of medical situations than ever before. Individuals that could not afford to spend $1000 or more on a given procedure now have access to a larger line of credit and options to help their pets. In the end, this practice has led to many animals being spared euthanasia. Plus, their clinic has been able to stop offering “personal” loans. Another view on the iCare Financial experience comes from Scott Carlin of APC Veterinary. Carlin has noted that every few days there is a pet owner who enters his office in need of iCare to cover bills for treatments. In one recent example, a dog with bladder stones had grown to a life threatening point where only hours remained. 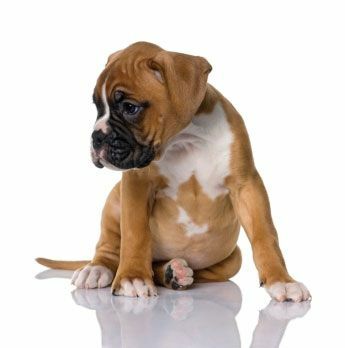 This is a typical problem for older dogs that have developed kidney stones and simply stop urinating; however, this surgery can cost $1,000 or more. Dr. Bixler points out that one of the reasons that the program works so well is that almost everyone in society is accustomed to the practice of making monthly payments. As a result, they tend to respond very well to the patient Financing plans available through iCare Financial. Dr. Bixler notes that when it comes to people, health care is essentially built around a payment system, but animal care has traditionally not followed this model. However, that is exactly where a program like iCare comes in. To ensure that animals are given the same opportunity for proper care. It also allows his practice to effectively treat animals without cutting corners due to cost. For example, in one recent scenario, an 8-year-old dog needed to be put under anesthesia for a teeth cleaning. However, upon review, Dr. Bixler noticed that this animal had a heart murmur. Ideally to safely clean this animal’s teeth, there would be a variety of added expenses, such as an ACE inhibitor and cardiology report. Through offering iCare’s Financing program as a payment option to pet owners, Dr. Bixler was able to treat this dog in the safest and most responsible manner. In situations like the one described above, the animals “Mom or Dad” is typically not only grateful, but truly thrilled that there was an option that will enable their pets to receive the optimal care. The love that people have for their animal companions and friends transcends dollar amounts. The bottom line is that through iCare Financial, vets around the country now have a bold new way to service their clients and save countless animals in the process. Veterinarians are reporting that clients that use iCare are often brought to tears by the fact that they have a way to save their animals. Vets benefit, as they are able to offer pet owners a way to save their beloved animal friends. Plus, at the same time, they benefit financially through additional revenue as well as being able to get guaranteed payment for services rendered. In short, iCare Financial is a win-win for everyone involved. Give yourself and your staff the confidence to offer comprehensive treatments while knowing you have a finance program to get the job done.